Ideal for all application requiring large amounts of fresh air. Design to provide accurate ventilation balancing. Rooftop FX solution is the most cost effective package solution for high efficiency comfort air conditioning of buildings using high volumes of fresh air. High flexibility with two centrifugal fans (exhaust and supply) allowing full modulation of the air balancing in the building and control of exhaust and fresh air mix. Perfect control of the pressure inside the building to limit the risk of door opening due to pressure differences. 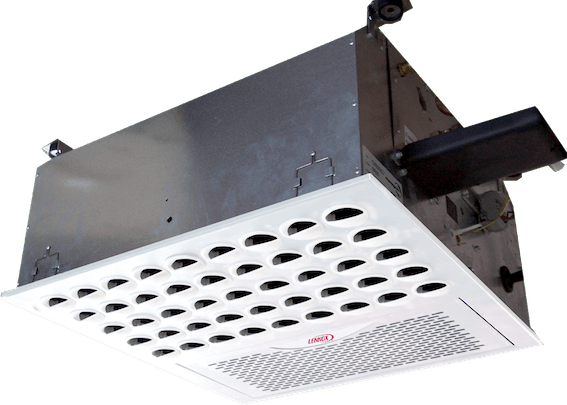 Unit can be fully ducted (supply and exhaust) allowing indoor installation when required. Advance CLIMATIC controller, designed to improve energy efficiency and reliability. This controller integrates master slave capability and a wide choice of communication interfaces.